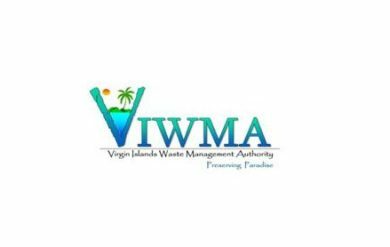 The Virgin Islands Waste Management Authority (VIWMA) Preserving Paradise team advises the community that due to inclement weather the sewer collection system is experiencing a large inflow of storm water that may cause overflows in low-line areas. The flow of rain water and storm water entering the sewer system may exceed the pumping capacity at various pump stations that pump sewage from residential and business systems to the wastewater treatment plants. After the rain and the storm water run-off subsides, the sewer collection system may continue to be impacted. Motorists are asked to use extreme caution when traversing through flooded roadways during and after the storm to avoid potential and known areas of manhole overflows. Residents are asked to avoid areas with standing waters. Persons with impacted immune systems are especially reminded to avoid all flood areas. Residents are asked to report sewer overflows by calling VIWMA’s 24-Hour Hotline at 844-WMA-USVI (844-962-8784). For additional information, contact Communications Management at 513-4171 or email communications@viwma.org. Previous articleSTT-STJ Flash Flood Warning Thursday Until 11:45 A.M.
Next articleALERT: VITEMA Monitors Weather System, Floods Impacting the V.I.